Southern Fuels & Farm Supplies Ltd has a long established partnership with some of Ireland’s leading animal feed manufactures. This relationship allows us to provide an extensive range of innovative quality feeds for our customers. We cater for all aspects of animal production from high yielding dairy cows, intensive beef production to the horse and poultry sector. Our extensive bagged feed range includes a choice of products for horses, dogs, pigs, sheep and poultry. Southern Fuel & Farm Supplies also provide a Forage analysis service to help our customers optimize the use of home forages. Consult our sales team for details. Southern Fuel & Farm Supplies Ltd in partnership with Southern Milling provide an extensive range of high performance compound Dairy feeds. 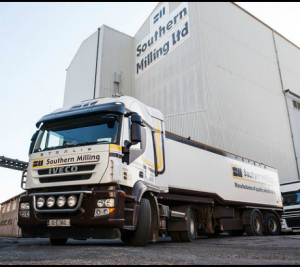 Southern Milling Ltd. has invested heavily in the most up to date feed milling equipment with the latest technology and systems and as a result has one of the most modern feed milling facilities in the country. Experienced nutritionists formulate these products to bear in mind the significance of performance, quality, and cost to the end user. The use of only the highest quality raw materials, including native cereals, are used in the manufacturing process. Southern Fuel & Farm Supplies Ltd excellent sales team provide reliable technical advice at all times, in conjunction with Southern Milling’s qualified nutritionists. The Mill is approved and licensed by the Department of Agriculture and Food and is accredited to UFAS and HACCP standards . Liffey Mill’s provide us a range of unique young stock feeds. The enhanced digestibility and nutrient availability created by their Toasting process has proved to be highly beneficial in ruminant diets. 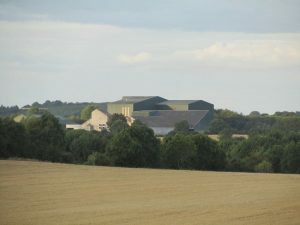 Liffey Mills feeds include a high proportion of home grown cereals including, Barley, Wheat, Oats, Maize, Beans and Peas. Toasted flaked products provide improved nutritional value over feeding the same materials uncooked. Increased available energy and improved digestibility are both achieved due to the gelatinisation of starch molecules during the toasting process. This is particularly beneficial in starter diets for young animals and poultry. Flaked products not only provide an excellent source of highly available nutrients for a finished diet but contribute aesthetically to the products appearance. When used in coarse rations, the flaked ingredients add vibrant colours and texture to the mix and provide a more natural look than coloured extrusions. Southern Fuel & Farm Supplies Ltd excellent sales team provide reliable technical advice at all times, in conjunction with Liffey Mills qualified nutritionists. Charles R Wynne Ltd are dedicated to supplying a comprehensive range of high performance feeds selected from a range of original Toasted Flaked ingredients balanced with the highest rated feeds from the Teagasc Net Energy System. Charles R Wynne Ltd, at harvest time purchase Barley, Wheat and Oats from local farmers to use in their manufacturing of high quality animal feeds. Their rations are formulated to maximise growth rate through palatability and high intake thus ensuring economic benefit. 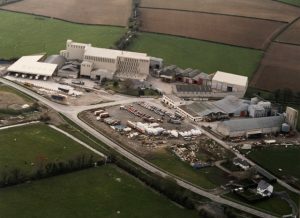 Charles R Wynne Ltd are ISO and UFAS accredited and all cereal growers are members of the Irish Grain Assurance Scheme. Southern Fuel & Farm Supplies Ltd excellent sales team provide reliable technical advice at all times, in conjunction with Charles R Wynne Ltd qualified nutritionists. Connolly’s RED MILLS is the name you can trust. 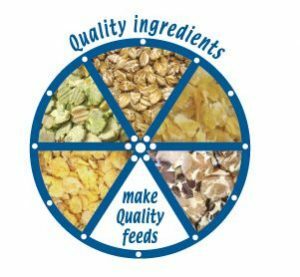 The Mill produces premium high-performance equine feeds and pet foods, and their expertise in research and innovation has been built up over five generations. Connolly’s RED MILLS know just what it takes to get you the best results in terms of animal nutrition, health and performance. Their top quality products are supported by some of the most technologically advanced plant and processes in the world. Connolly’s RED MILLS recognised accreditation’s are BRC, UFAS, IGAS, and NOPS. Southern Fuel & Farm Supplies Ltd excellent sales team provide reliable technical advice at all times, in conjunction with Connolly’s RED MILLS qualified nutritionists.